Prostat Corporation | ESD Blog » Error in Prostat Autoanalysis – Invalid extremum sequence! Minimum has to be followed by a Maximum! Home > Uncategorized	> Error in Prostat Autoanalysis – Invalid extremum sequence! Minimum has to be followed by a Maximum! Invalid extremum sequence! Minimum has to be followed by a Maximum! While in the Editing Control window, and once you have trimmed the data and confirmed the step cycles, you need to add a Min and a Max from the Adjust tab. 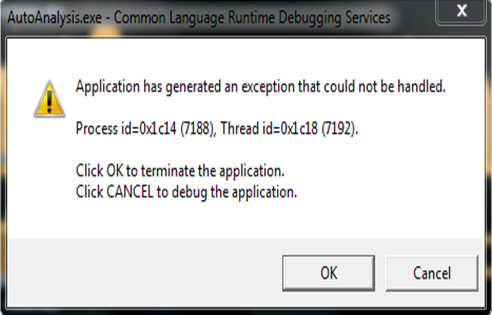 If you are attempting to add 2 MIN’s or 2 MAX’s, the software will generate this error. You should only add 1 MIN and follow it by a MAX. You cannot add 2 of the same kind.